Cruising is quite different to any other kind of holiday, and for that reason I think some people are unsure what to expect. And of course, because you’re committed to being onboard for the duration of your holiday, it’s common for those new to cruising to have lots of questions about whether they’ll have enough to do, whether the scheduled excursions are compulsory and more. So, I thought I’d put together a quick guide for all those considering their first cruise. I think the key thing to remember is that cruises are holidays that let you see multiple destinations not only with minimal effort, but also in luxury. 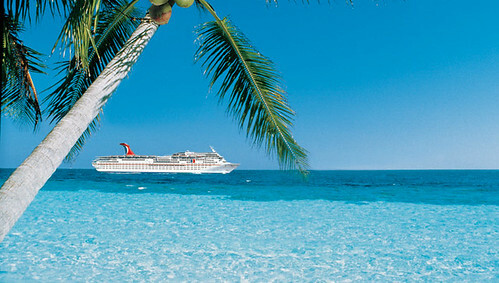 I think it’s fairly common to assume that the bulk of cruises are quite long affairs, lasting at least several weeks. Of course, a lot of us just don’t have that kind of time to spare – but the good news is that there are plenty of itineraries that are much shorter. In fact, you can go on exciting trips over as little as six nights. Now, this is really good news for anyone who’s been desperately wanting to go on a cruise but believed they didn’t have the time. It’s also great for newcomers to cruising who are a little anxious about taking the plunge – after all, a trip as short as six days can act as an excellent taster. If you enjoy the experience, you can then book something longer! By the way, if you’ve got ultimate luxury in mind but want to make sure you’re not spending over the odds, then search for Celebrity cruise deals – there are usually plenty out there, allowing you to find great itineraries for bargain prices. Seeing as the ship will not only act as your hotel but also your transport, you’ll spend a lot of time there, so you’ll no doubt be keen to find out more about life onboard. I think most people’s key concern is that there just won’t be enough to do and they’ll get bored. The good news is, that’s pretty much guaranteed to not be the case. Luxury cruise ships are designed to be exactly that – luxurious. And this means that they offer a huge range of facilities and things to do, all of which are at a really high standard. For instance, you can indulge in decadent spa treatments (which you can book well before your holiday even begins), go for a swim, read a book on deck or enjoy some live entertainment – and that’s just a handful of your options. Of course, there’s far more to a cruise than life onboard. One of the joys of this form of travel is how easy it makes exploring lots of different destinations – and not just because it takes all the effort out of travelling from A to B and swaps it for indulgent relaxation. Luxury cruise lines also offer lots of excursion options, so when you call in at the various ports on your itinerary you’ll be able to go on all kinds of guided tours. You’ll typically be able to book places on these before you board, and in fact it’s a good idea to do so, because there are usually a limited number of places that are snapped up fast.